Tim Richardson and Kyra Shaughnessy planting kale seedlings that were started indoors, April 2008. 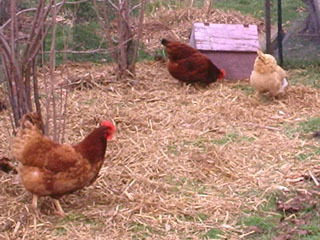 Chickens introduced for the first time, donated by Danielle Chynoweth. 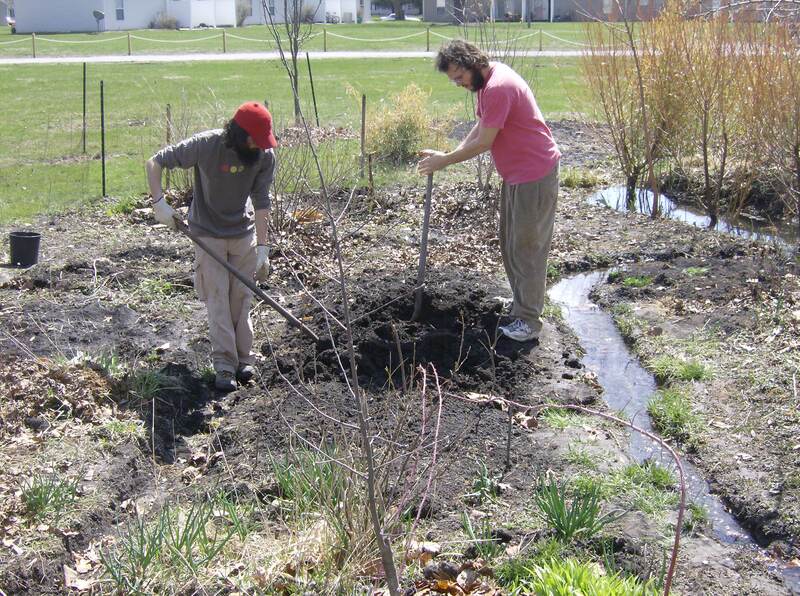 Tim and Jacob Barton adjust the topography following standing water in the annual beds. It was a very wet spring growing season. 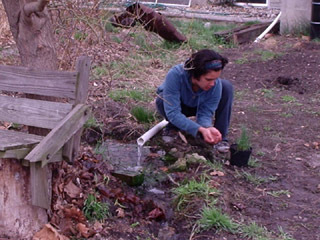 Kyra using the sump-pump water to water plant seedlings.